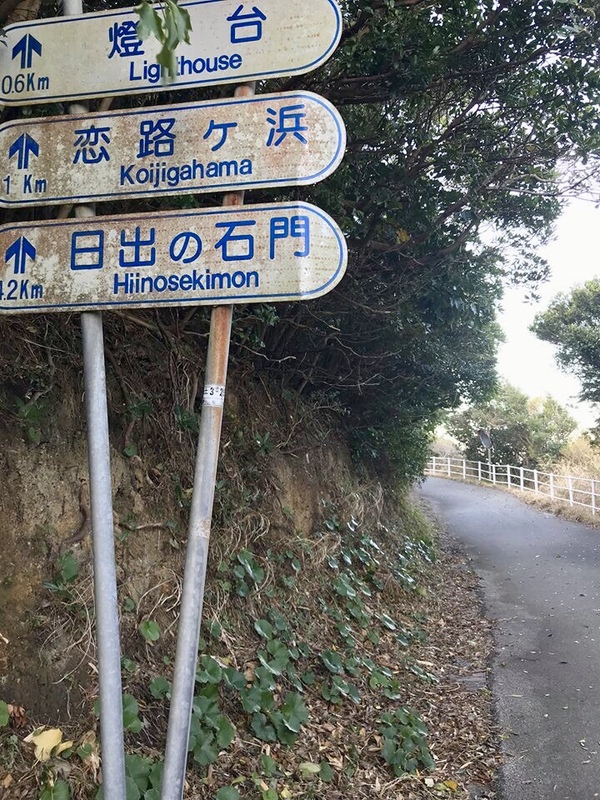 Yup, you read the title right. 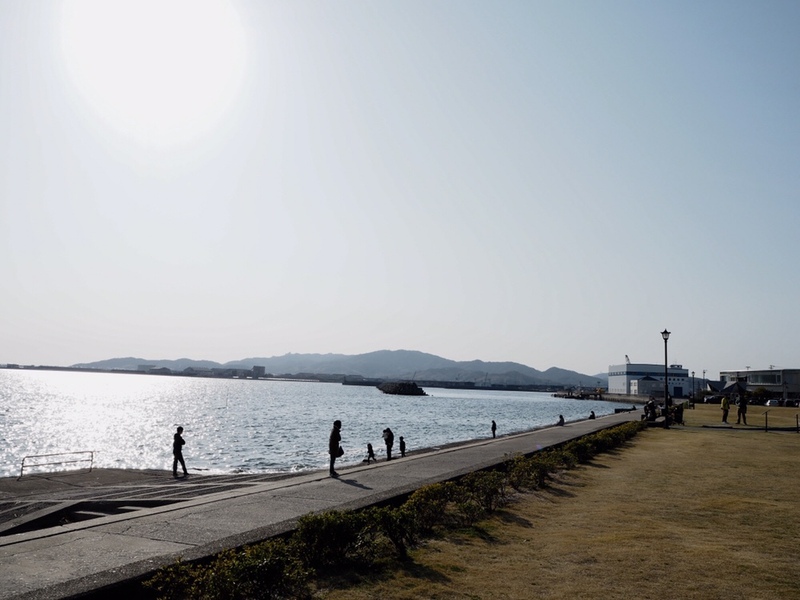 I’ve seen ocean and seas here ofc but just passing by during long drives and flying over them during flights. 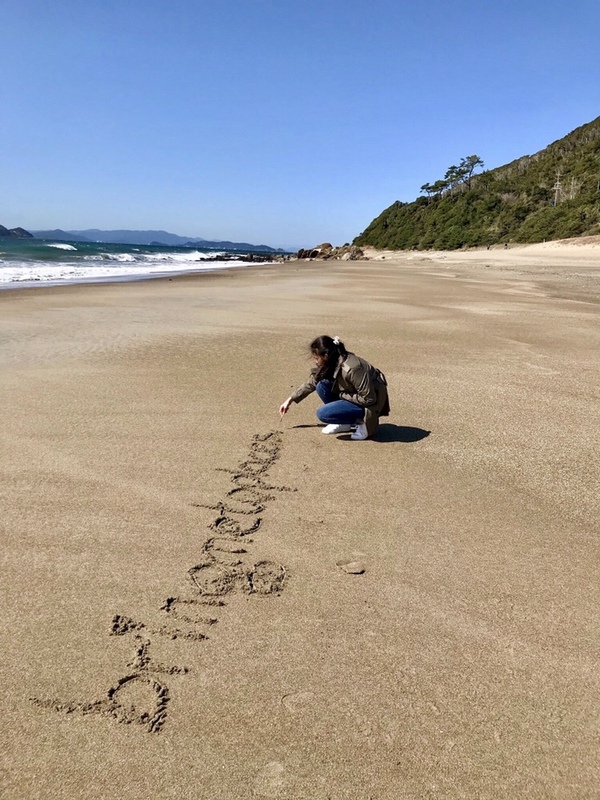 If you had read my bio or personally know me, you know that I’m not a beach fan. 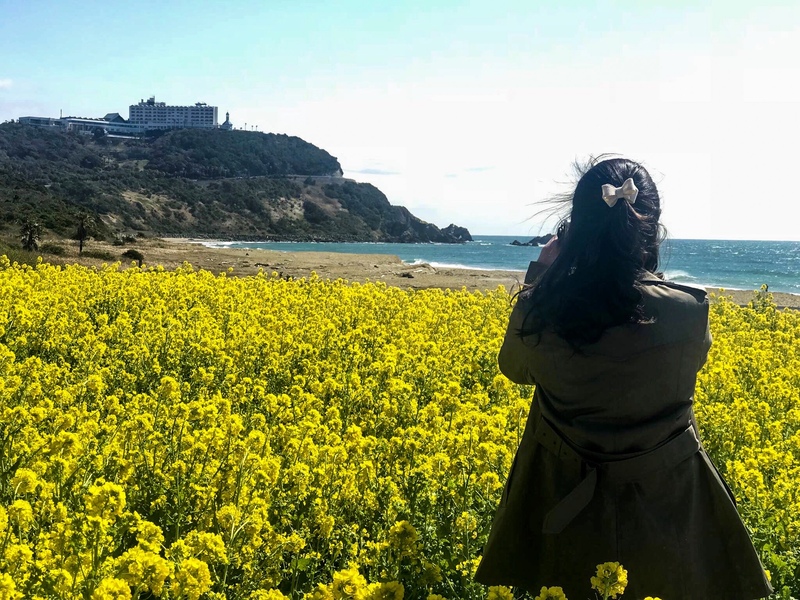 However, I acknowledge the truth that I need sea breeze and salty gust once in a while. 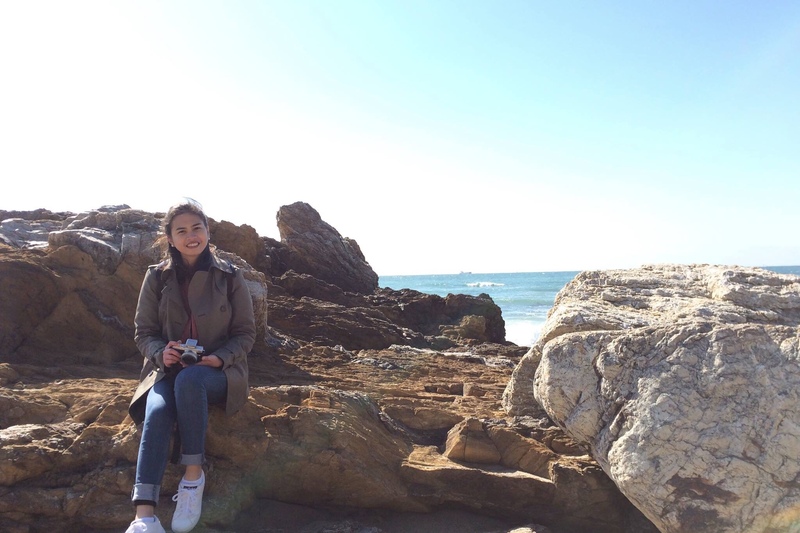 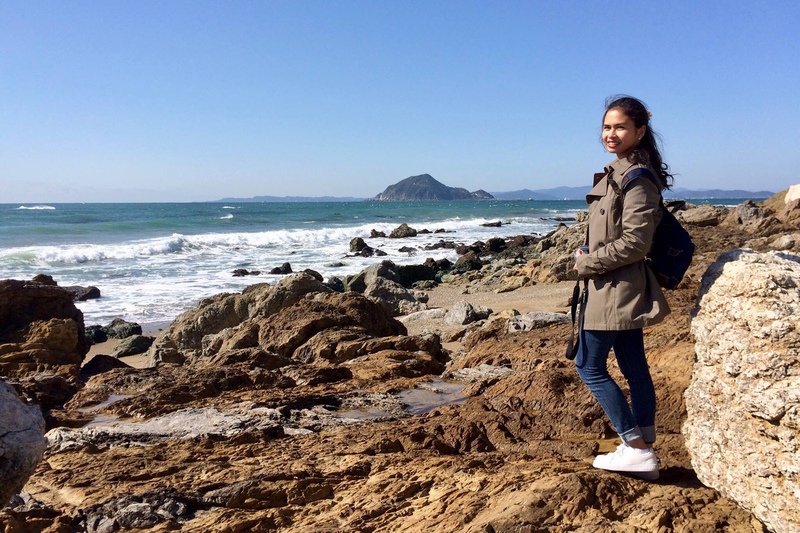 It’s been 3 years since I started embracing my life here in Japan and I haven’t done getting near the seashore. 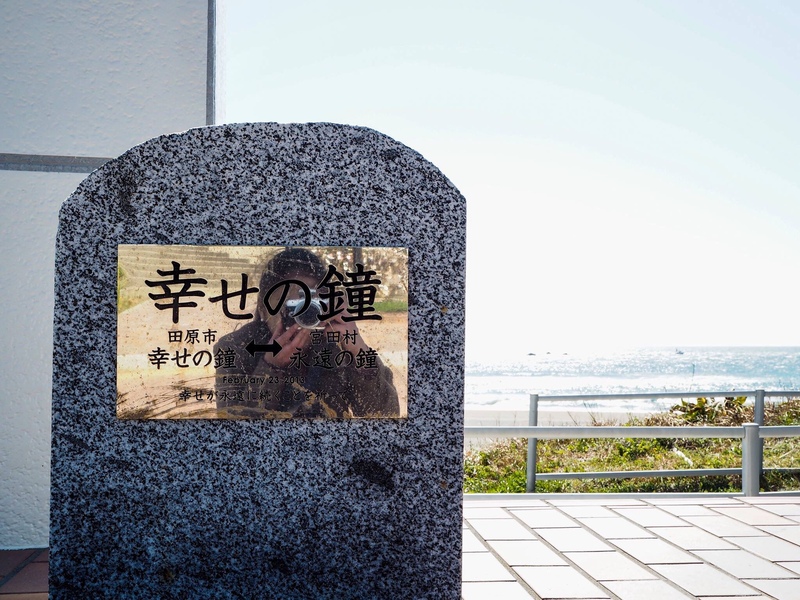 And so, during my spring break this year, last March, I had driven 144kms (times 2) to Tahara City in Aichi to be familiar again of the comforting feeling only the sea can give. 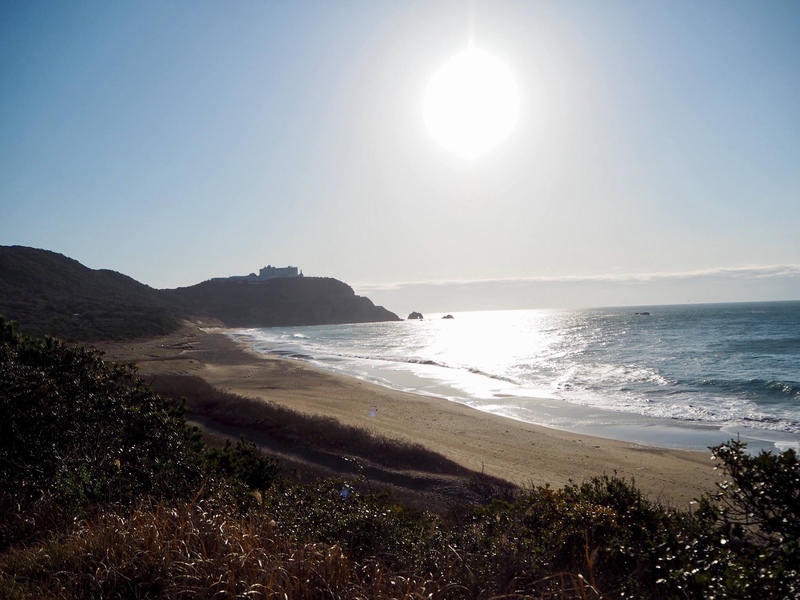 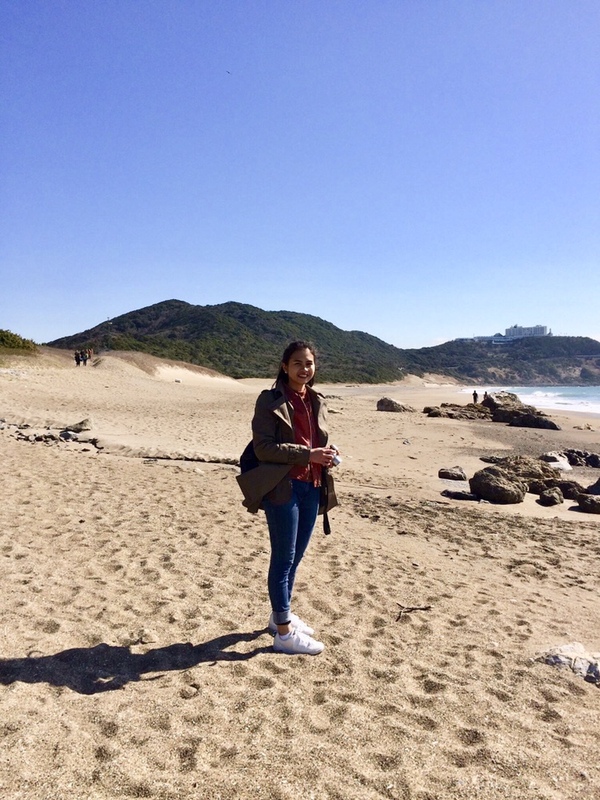 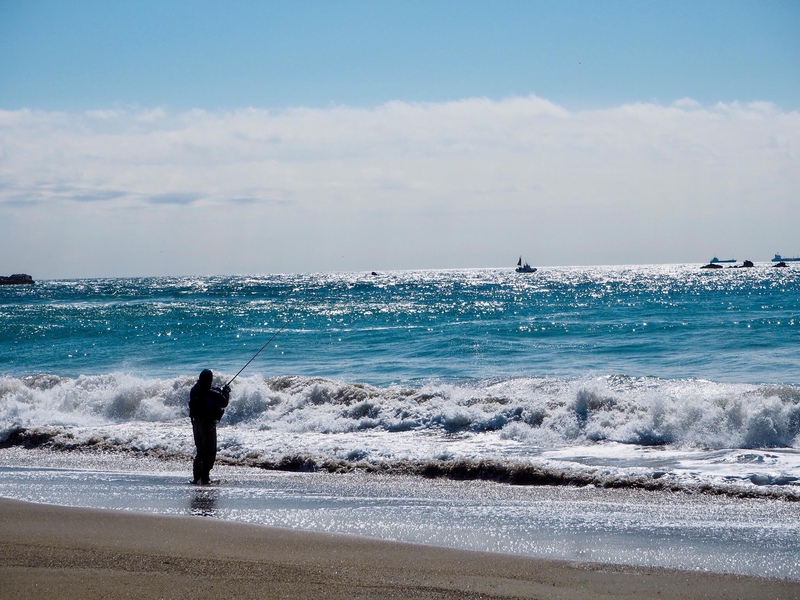 Located at the tip of the 50km long, 6km wide Atsumi Peninsula, Cape Irago faces Mikawa Bay on its northern side (good for swimming conditions) and Pacific Ocean on the southern side (offers stronger waves for surfers). 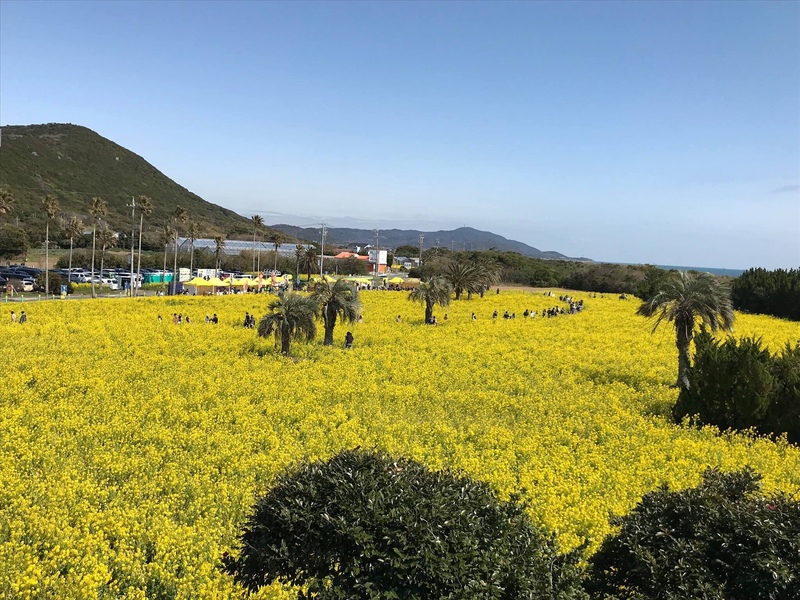 This peninsula is said to be a “Lover’s Sanctuary” as it presents several sightseeing attractions with ample things to do and see. 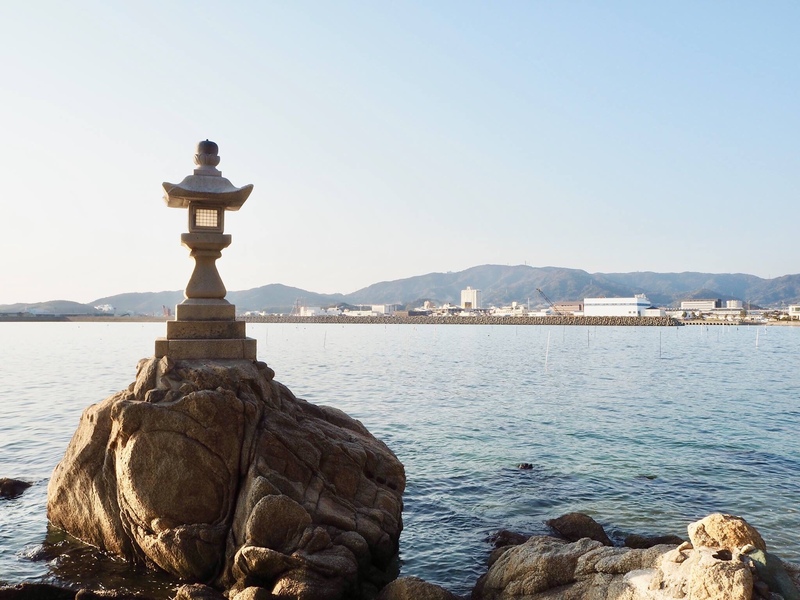 Tahara has been blessed with an affluence of charms found in its oceans and mountains which highlights its natural beauty as a peninsula. 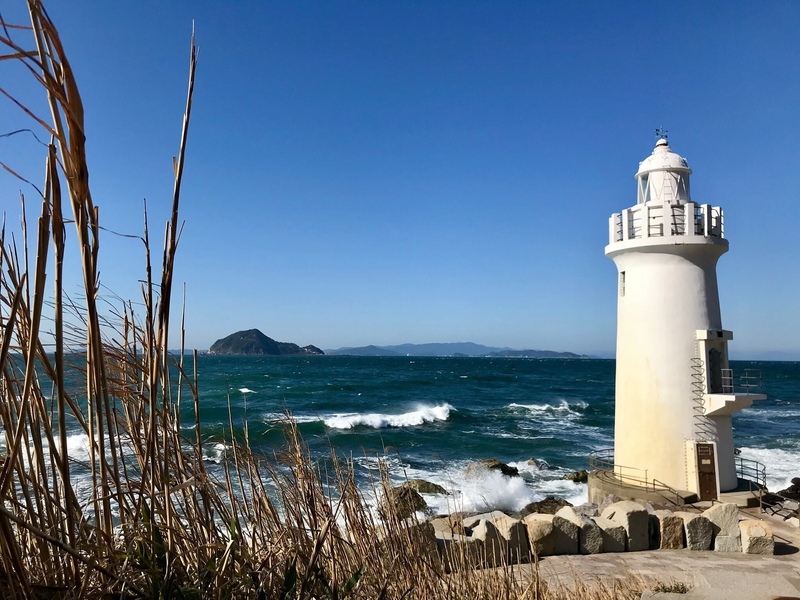 The simple beauty of a white-walled lighthouse built at the tip of Atsumi Peninsula was built to guide shipping lanes in coastal waters since 1929. 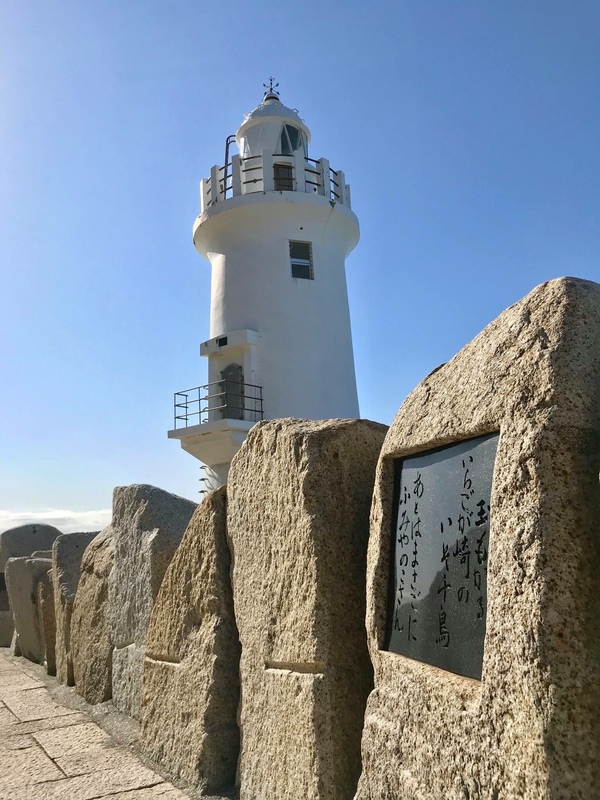 Lighthouses built at the water’s edge are rare in Japan but Irago Lighthouse has a proud role and became a tourist symbol of the Cape Irago which made its way to being selected as one of the Best 50 Lighthouses of Japan. 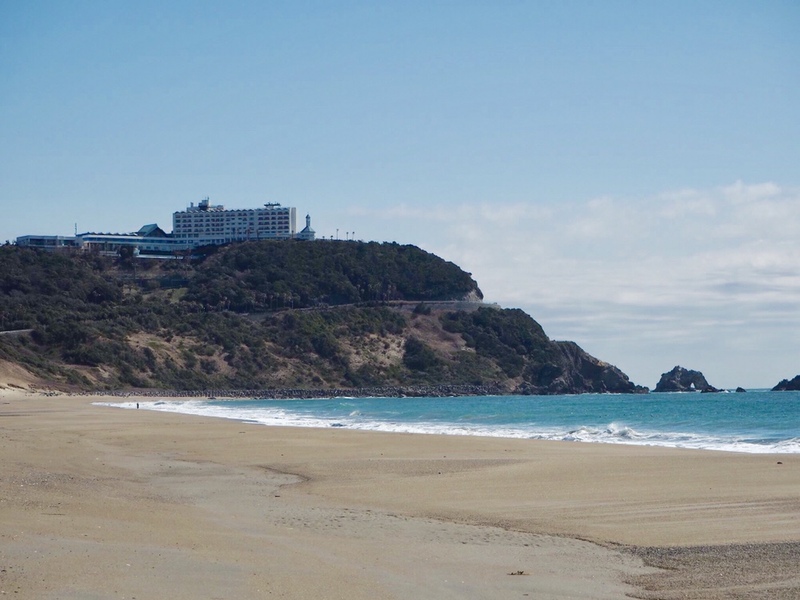 Chosen as one of the Top 100 Beaches in Japan, Kojigahama Beach’s curve was formed by the waves of the Pacific Ocean over a long period of time. 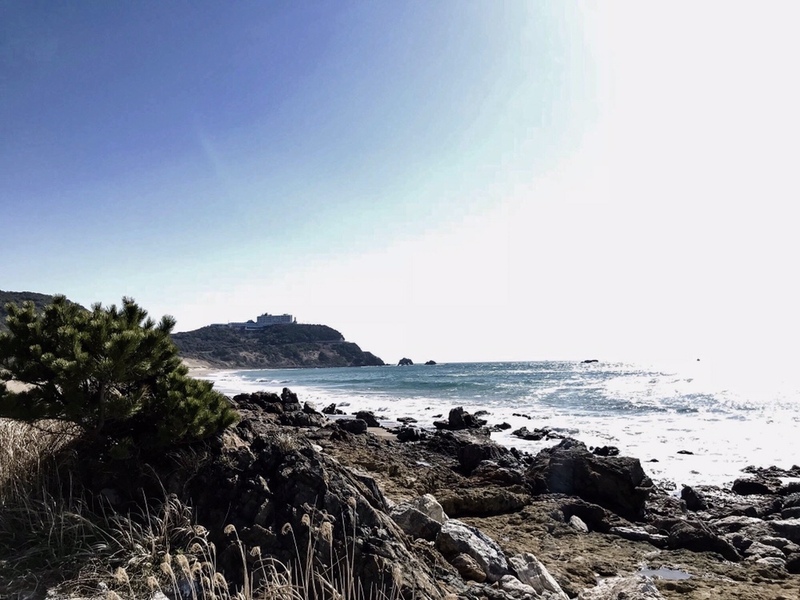 The beach is covered in white sand and just a walking distance from Irago Lighthouse and Lover’s Sanctuary. 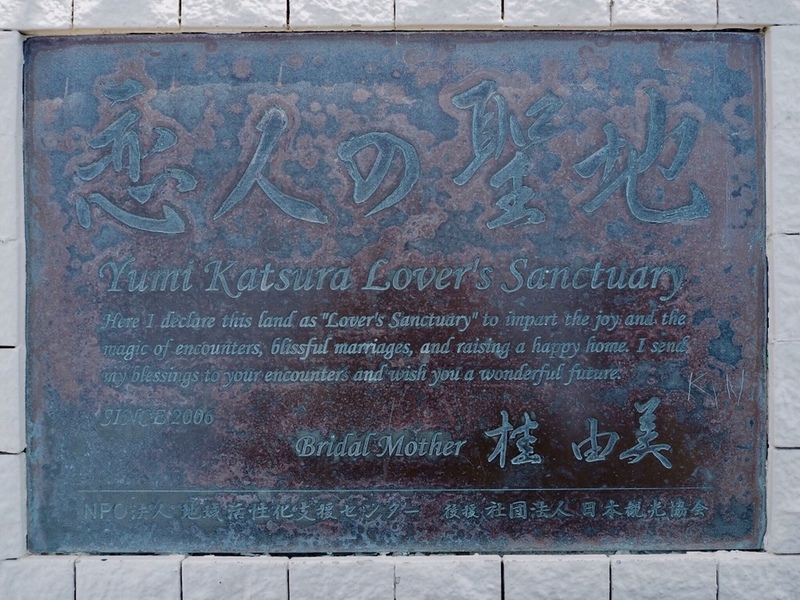 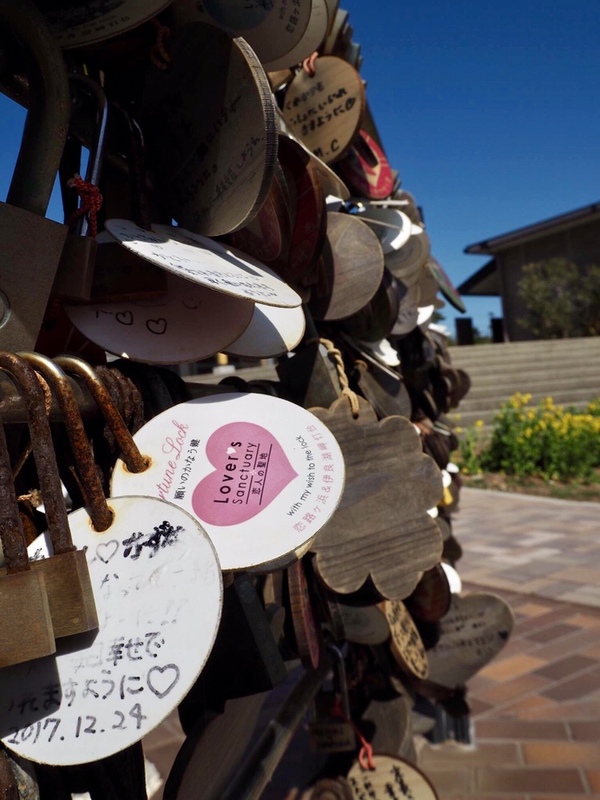 As you stroll along the coastal trail, you can easily see this Lover’s Sanctuary which has a plaque offering blessings to all romantics of all ages. 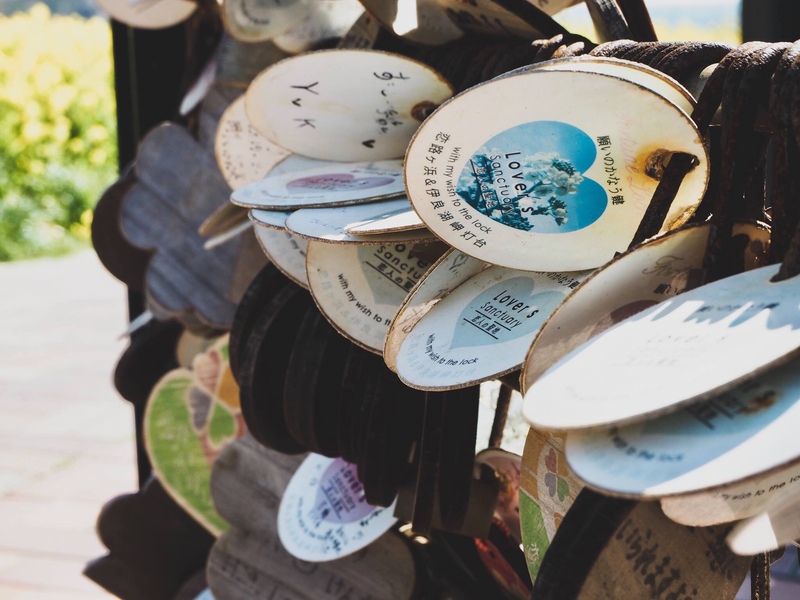 It has a bell to ring together with your partner, an area to attach padlocks signifying long-lasting love. 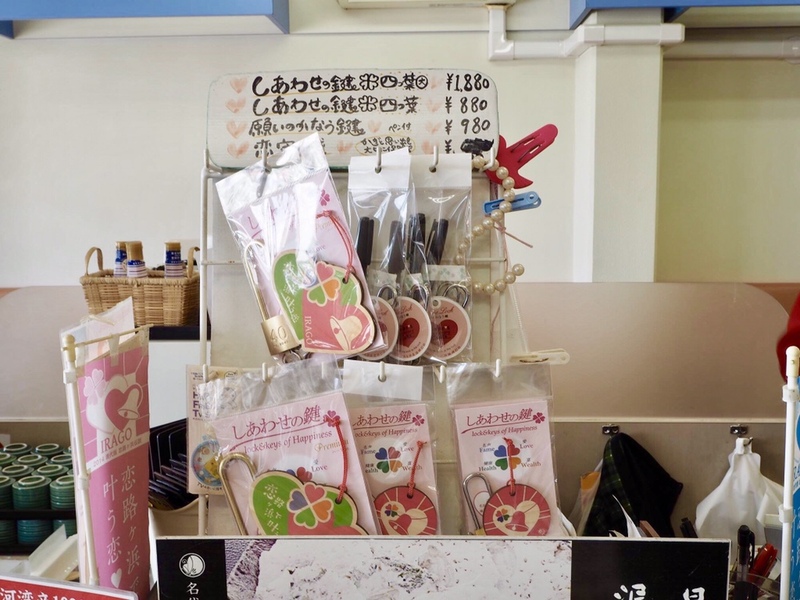 You can buy the locks inside the shop across the parking area. 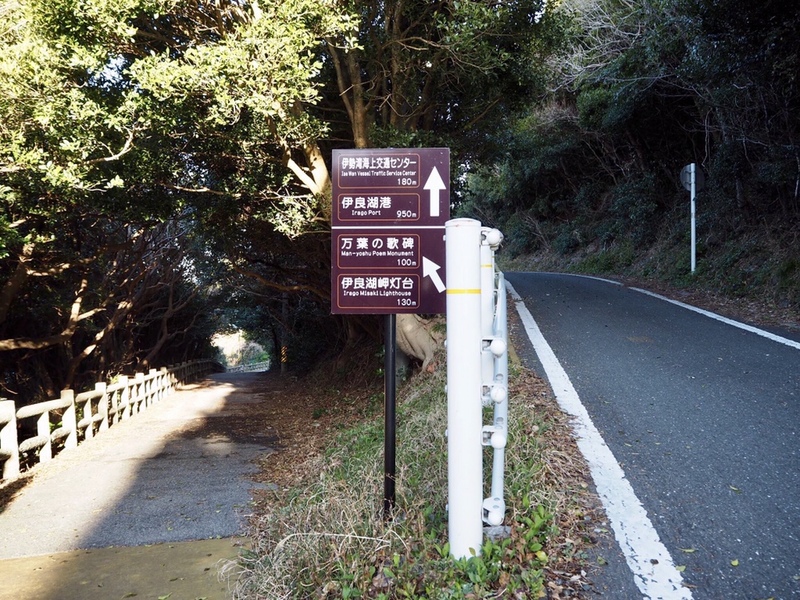 These 3 spots can be easily accessed if you go there by car. 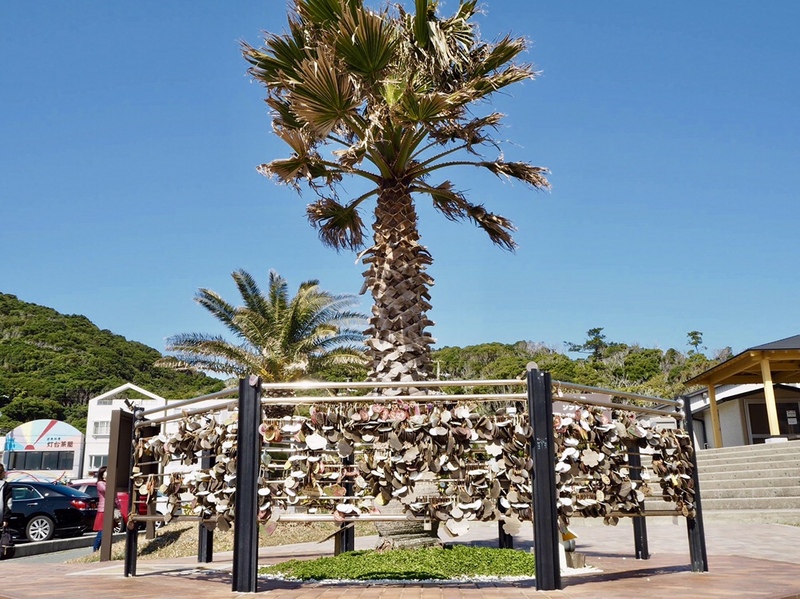 Car parking and admission is FREE. 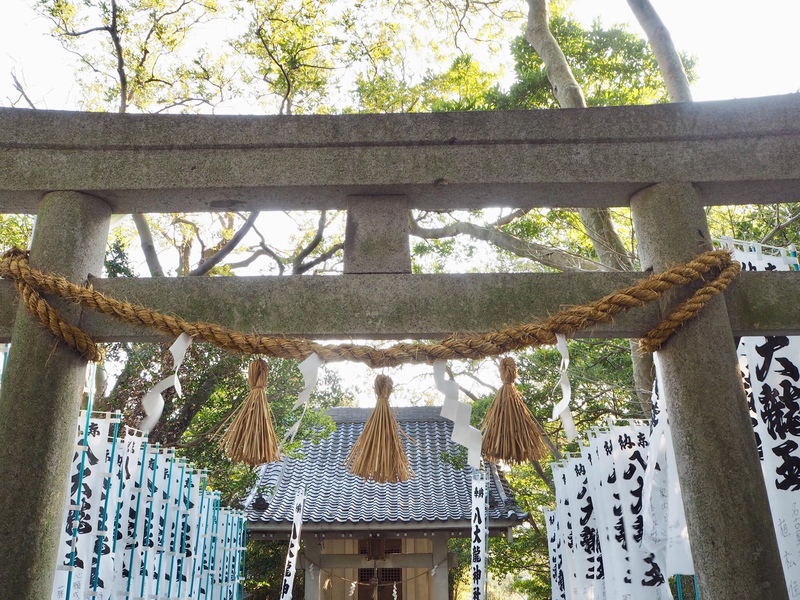 I recommend you to get there early in the morning as the place will be likely to get crowded comes noon. 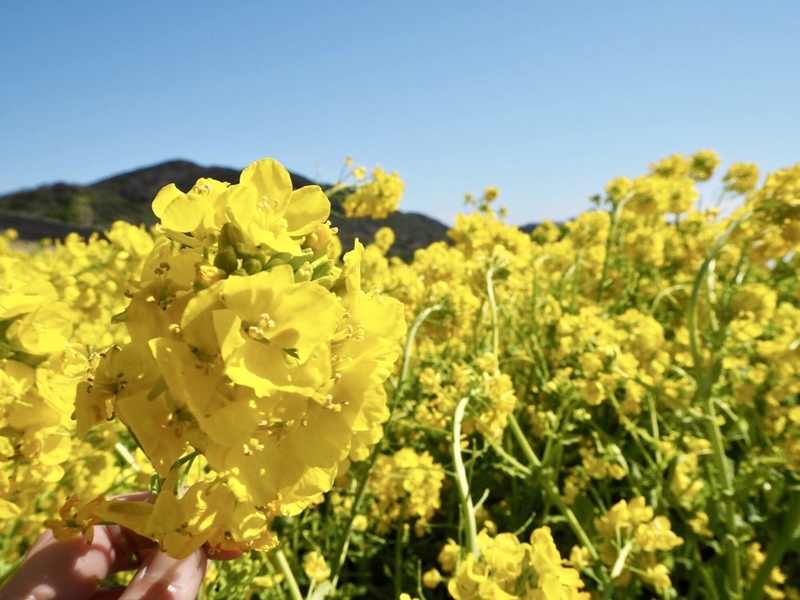 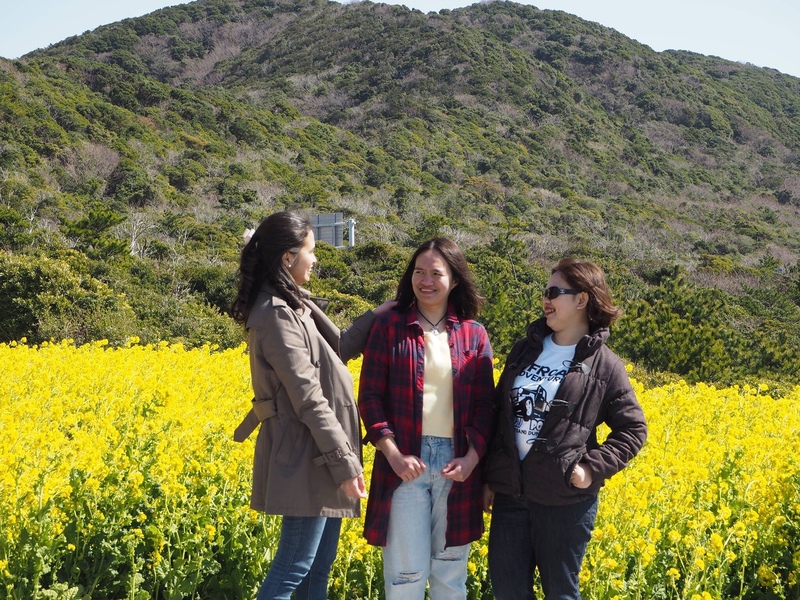 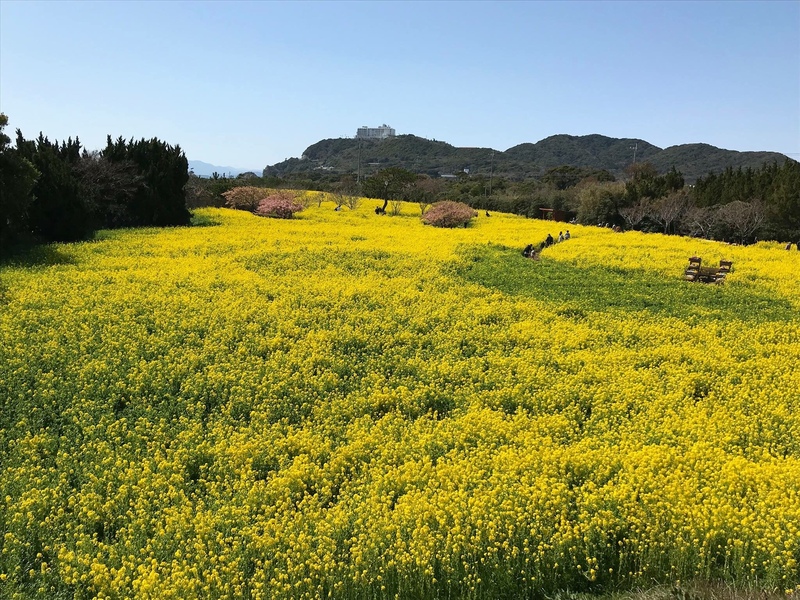 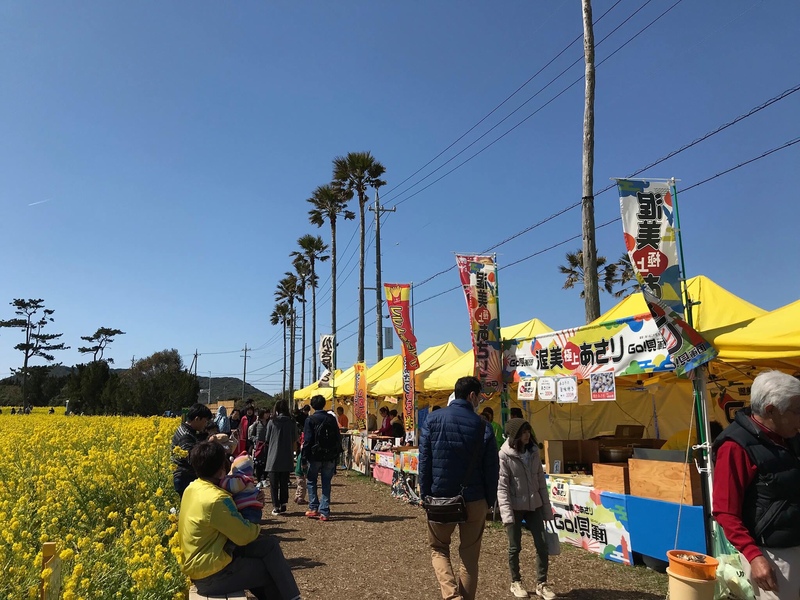 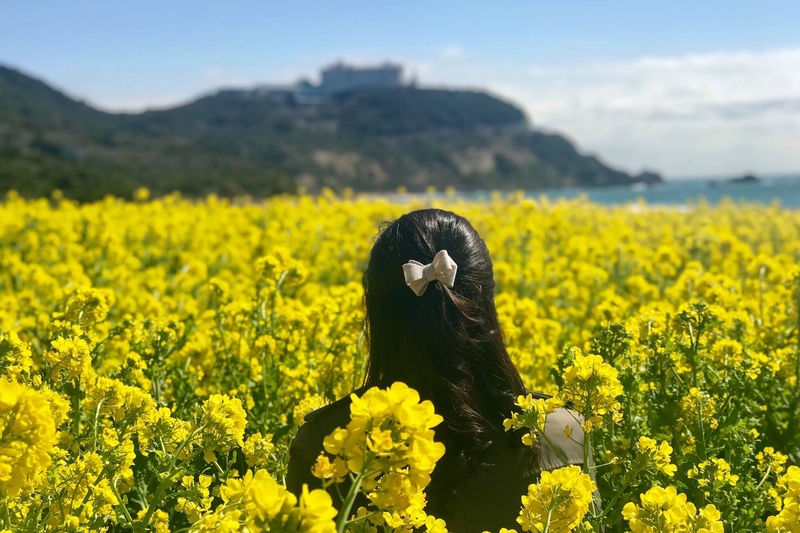 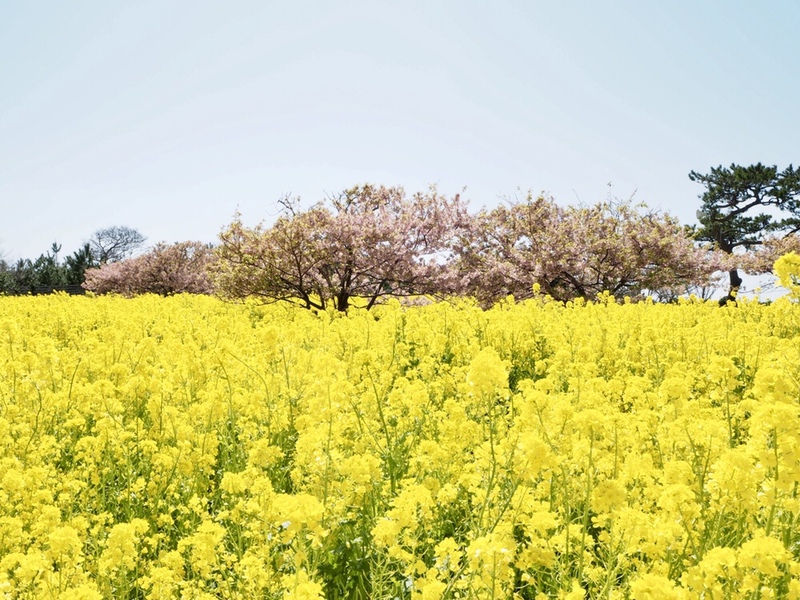 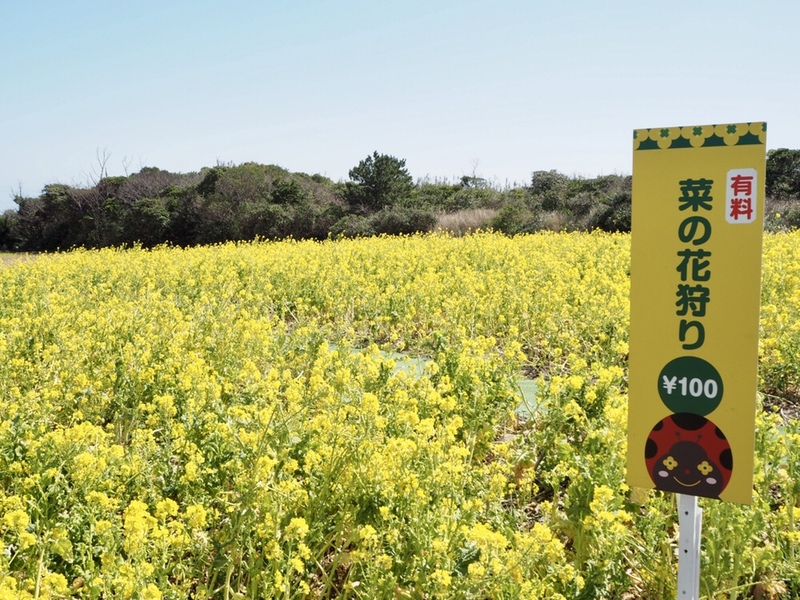 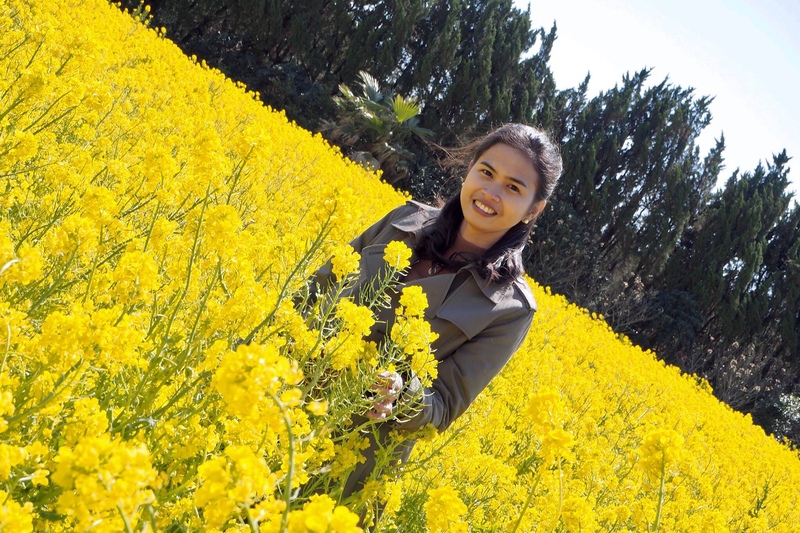 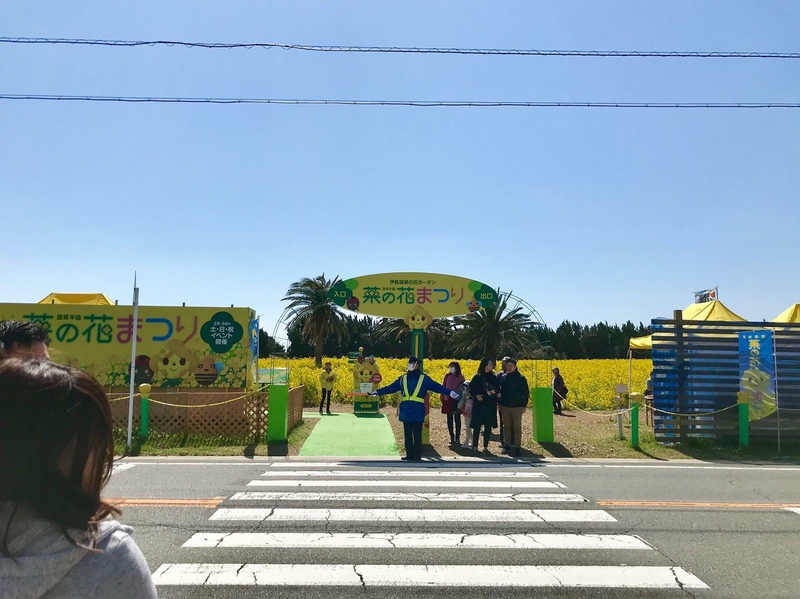 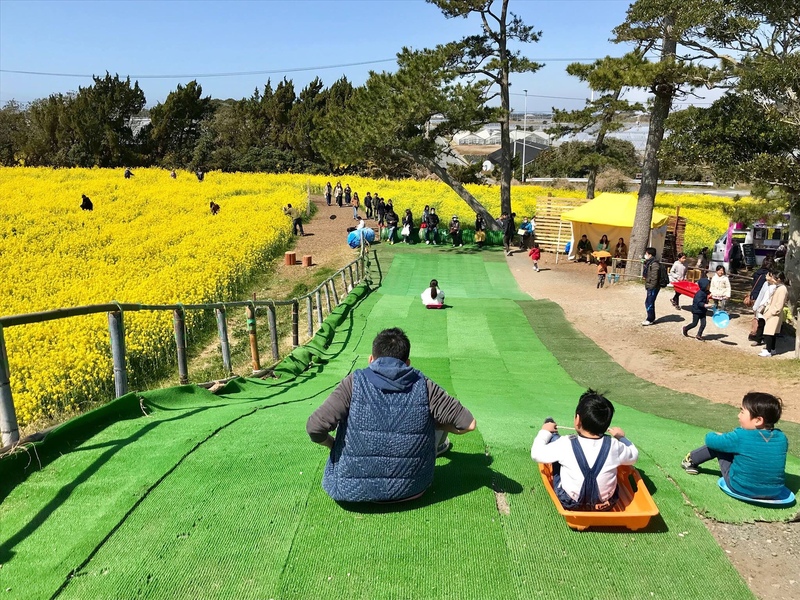 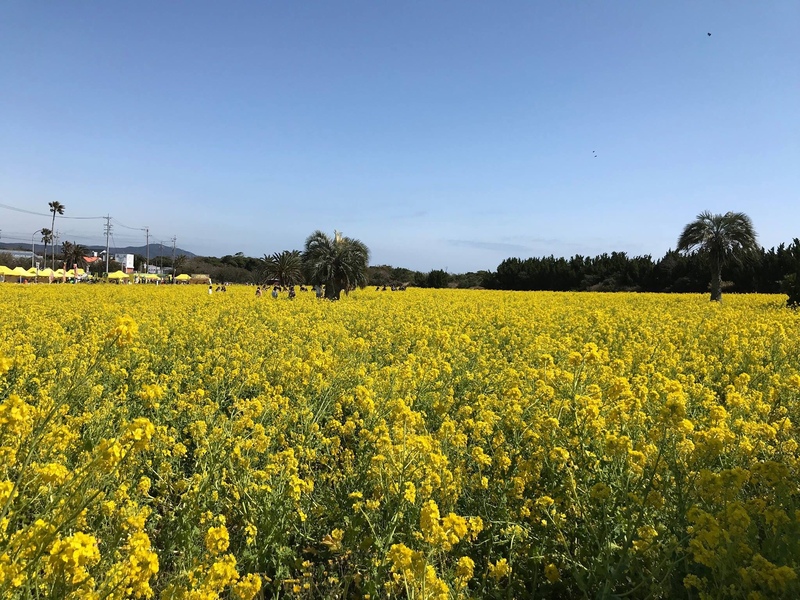 The already-charming Atsumi Peninsula becomes even more beautiful from mid-January to late March as more than 10 million nanohana, field mustard or rapeseed blossom reach their flourishing peak, turning the entire cape to dazzling yellow color. 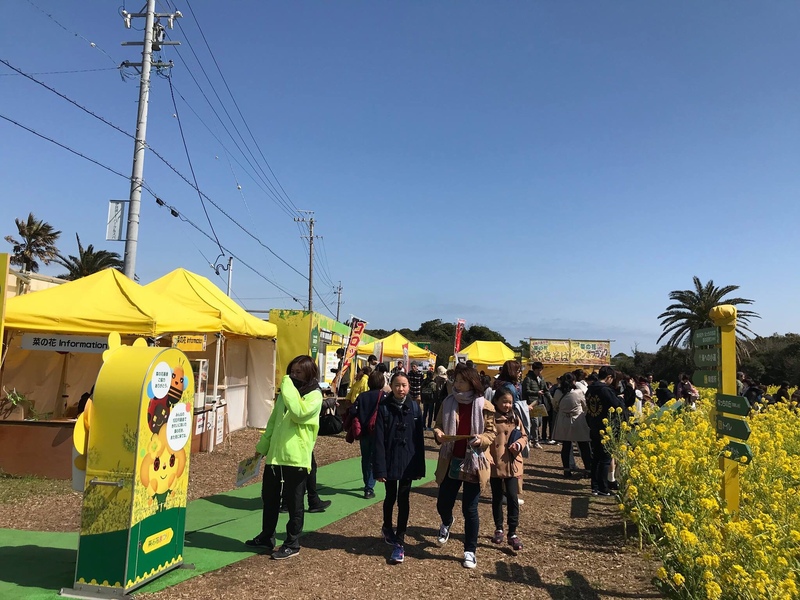 These bright yellow flowers can be seen everywhere but head on to Nanohana Garden as it hosts the annual Nanohana Festival (food stalls, shows and enjoy the wide garden planted with everything in yellow). 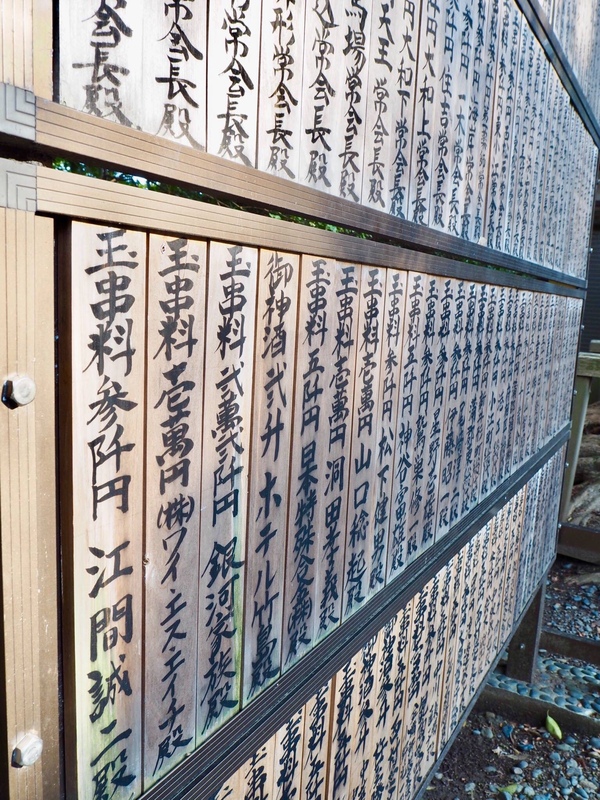 An hour and a half away from Tahara City, we had a sidetrip to Gamagori on our way home. 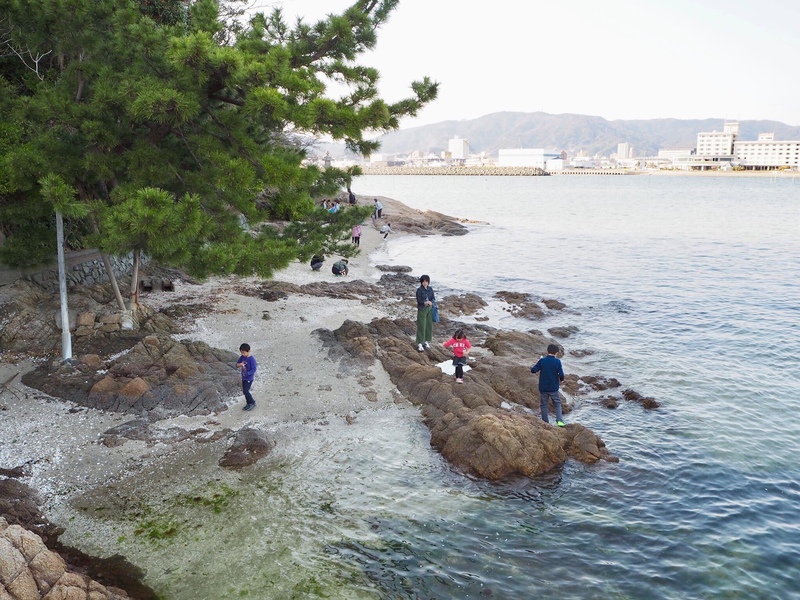 Gamagori has a small island covered with a forest of broad-leaves trees and is said to be strange for a place in the temperate zone. 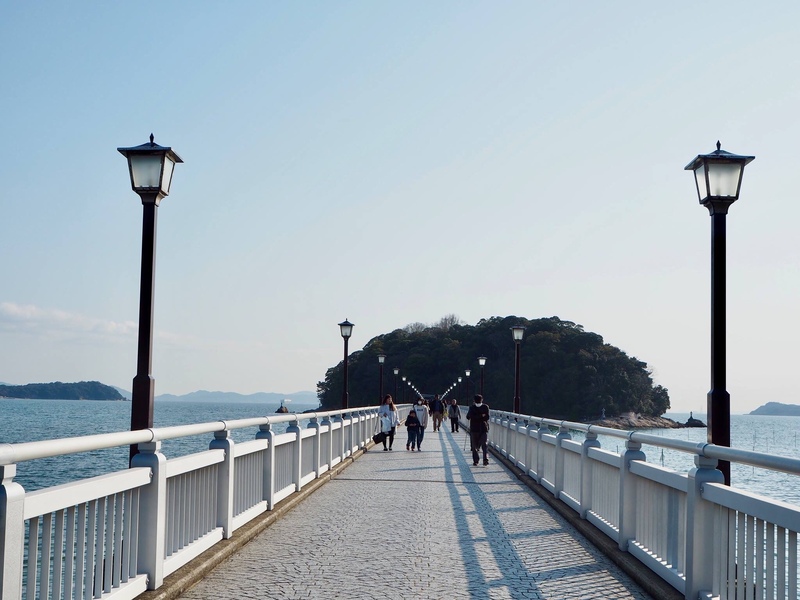 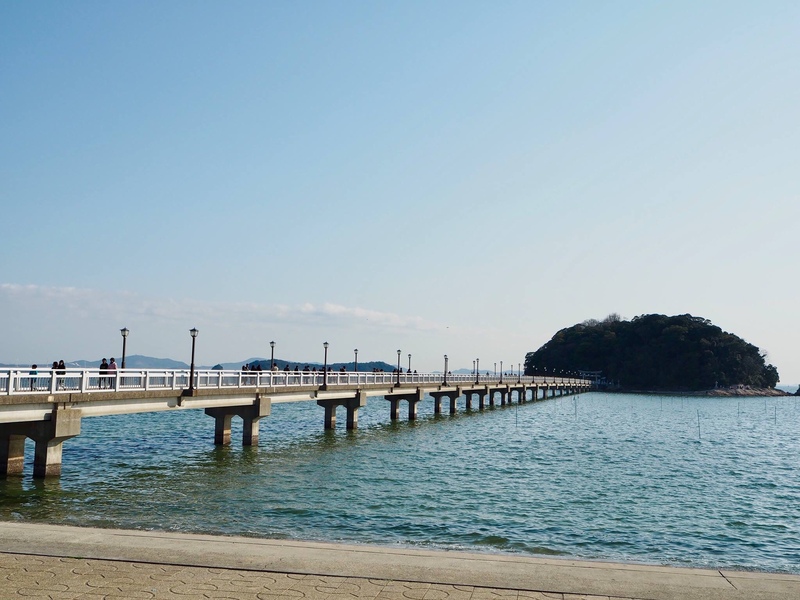 The island has been called as Takeshima Island and is connected to the opposite shore by a 387m long bridge. 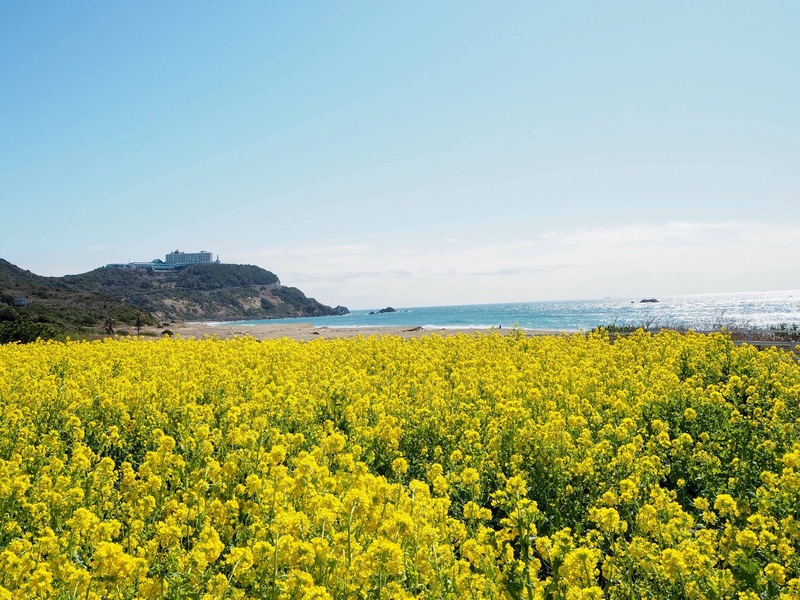 The island’s natural vegetation has been preserved and floras naturally grow without human interference. 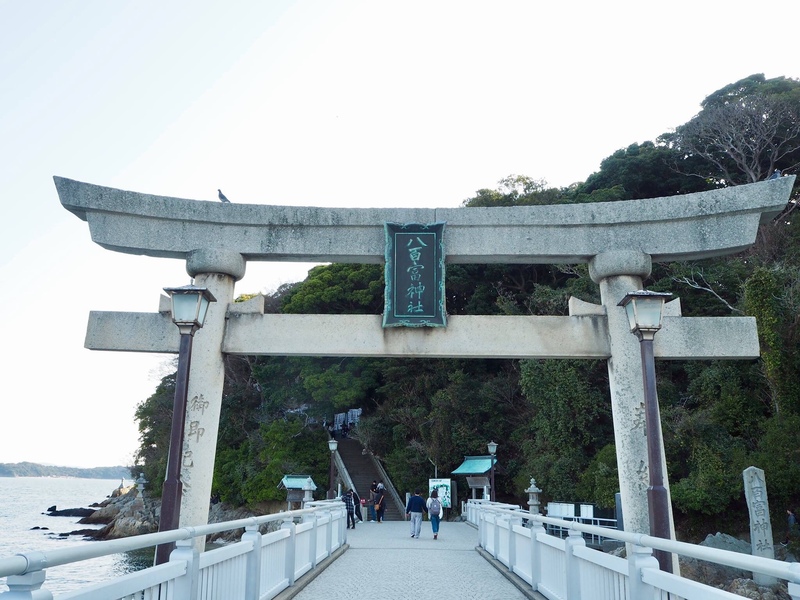 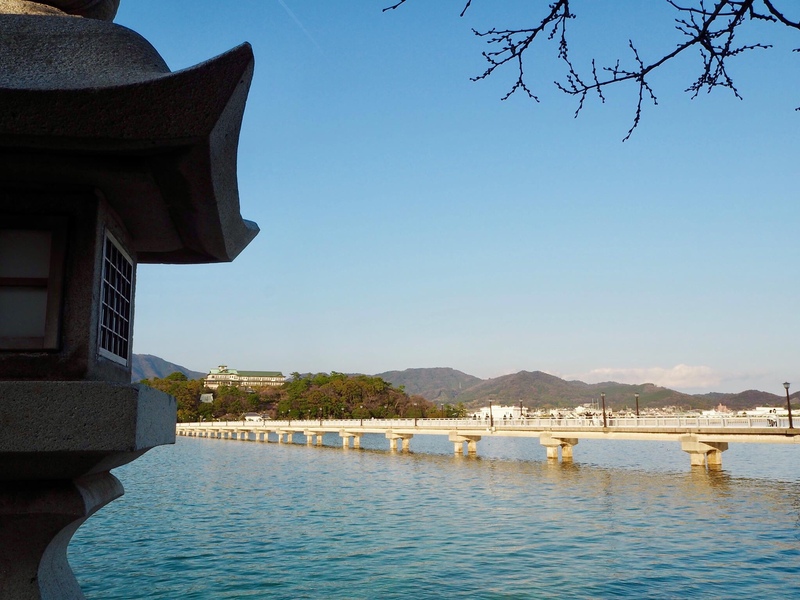 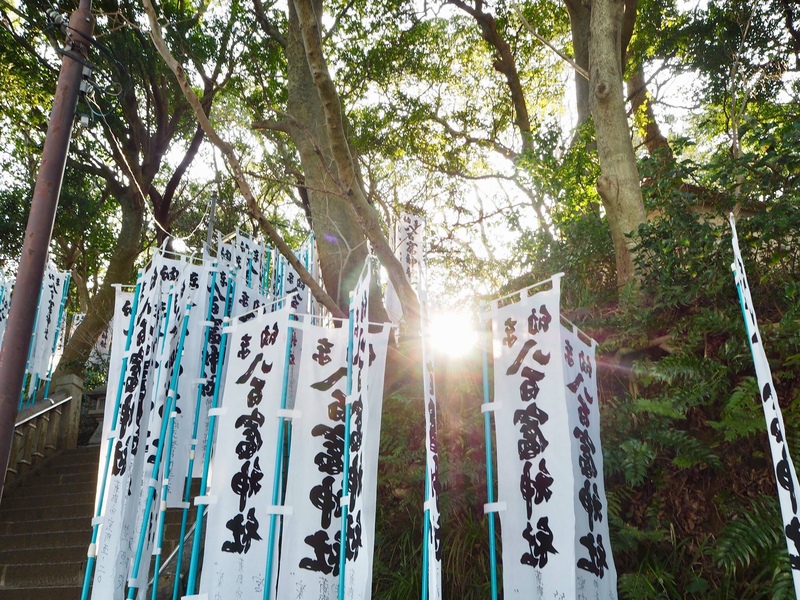 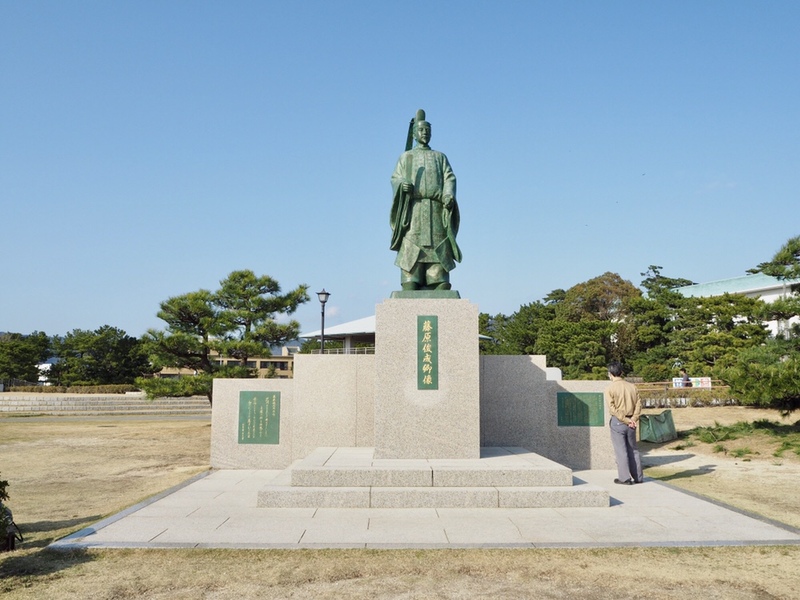 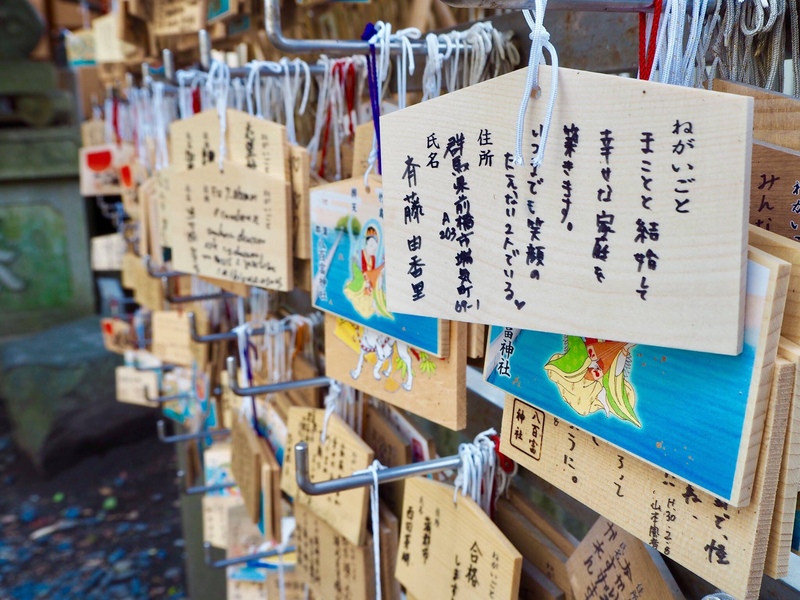 The only building in the island is the Yaotomi Shrine which is one of the 7 Benzaiten shrine in Japan. 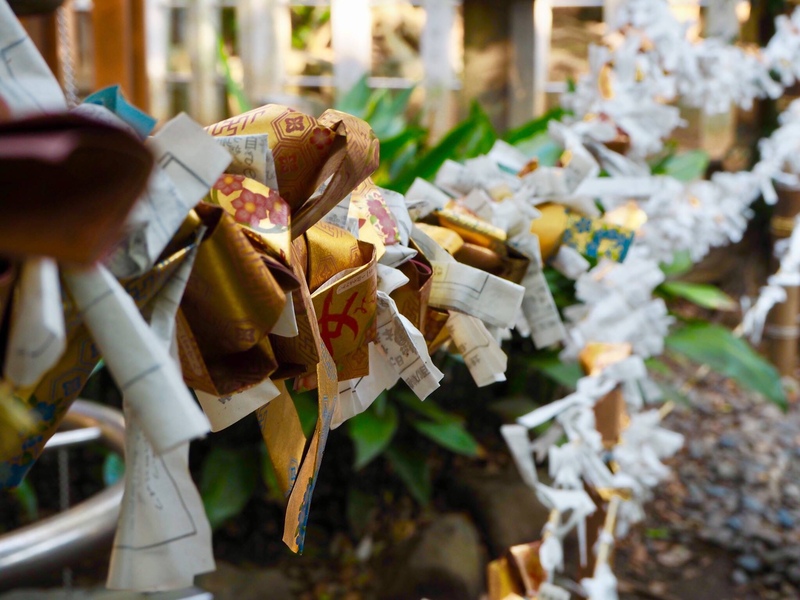 It is well known for enshrining the goddess of good luck, marriage and delivery. 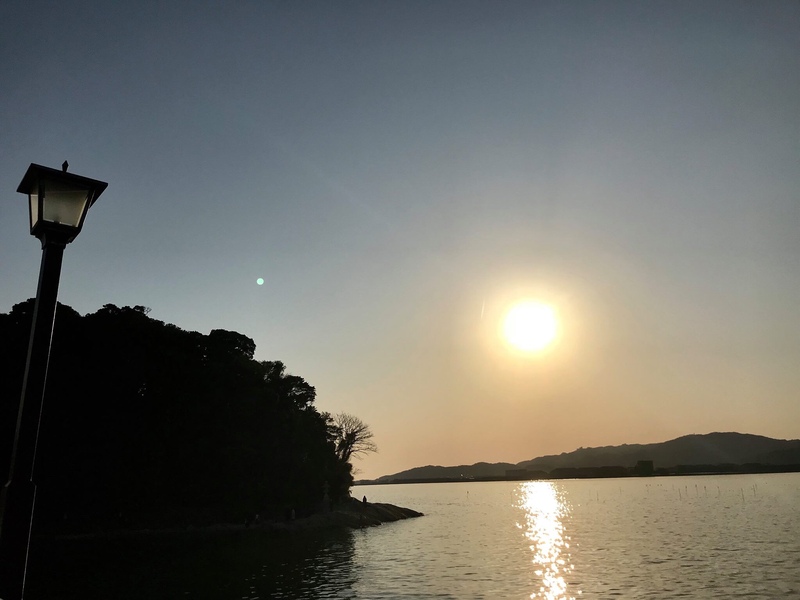 The island is indeed inhabited at night so make sure to visit before sunset.